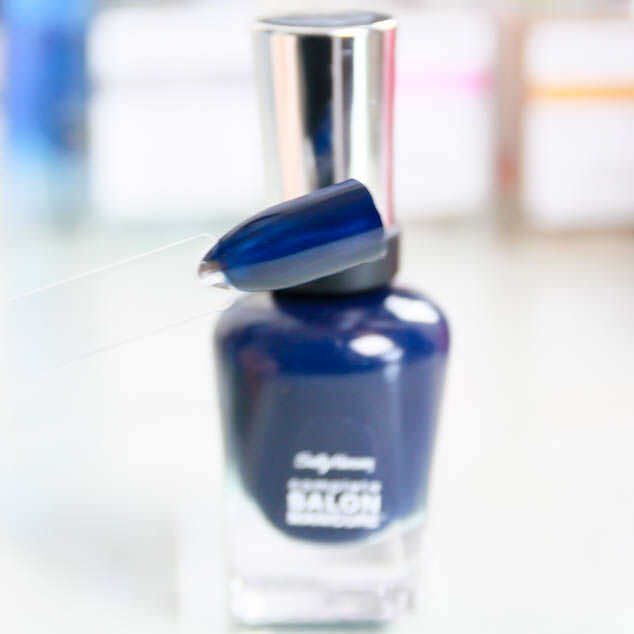 Sally Hanson is one of my favourite nail polish brands, they have a wide range of colours that for me are always long lasting and high quality. The ones I have had are also quite pigmented so I normally don’t need more than one coat. They are a little on the pricey side though which is why I usually have a hunt round for them in Poundworld and Poundland. I was recently in luck and found all of these beautiful shades in really nice big bottles which I have swatched to share with you. The shades I picked up are from the Sally Hansen Complete Salon Manicure. I picked up a nice pastel green, some blues and purples as my Mum likes me painting her nails in these shades, gold and an overcoat Over the Rainbow sparkle top coat. These two shades I can imagine working really well together, the Tulle Kit with the Over the Rainbow top coat. 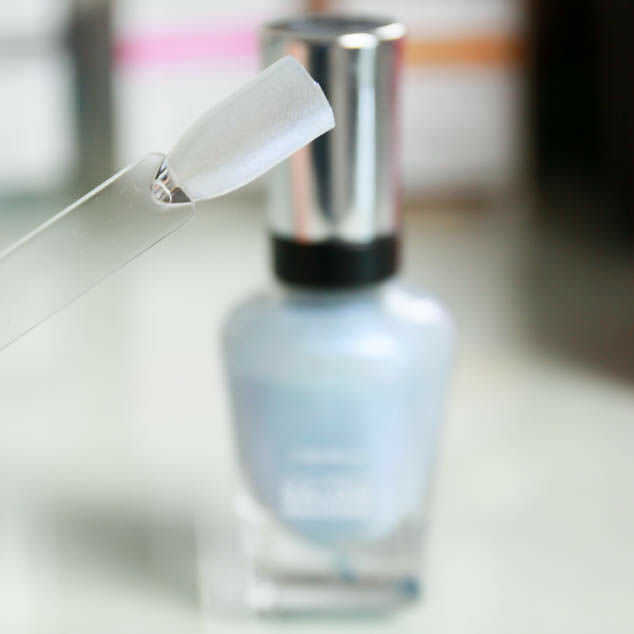 Both have 3 coats on, the Tulle Kit is a very pretty, mild, shimmery pastel blue. 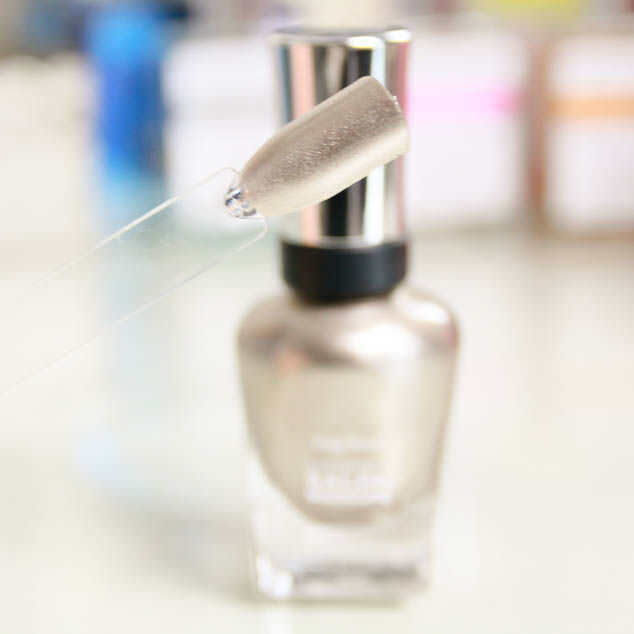 The Over the Rainbow has bits of silver and blue glitter and shreds that adds a big of fun and sparkle to your nails. I’ve been using it as an accent nail on each ring finger. Let me know what you think of these shades, which is your favourite from the six that I picked up and if you have found any other amazing finds in your local Poundworld. The Sally Hanson Complete Salon Manicure Nail Colour I have been loving is Coat of Arms, a subtle, gold brown shade!